iPhone addiction? Get a grip! Is it a DNA thing? My wife has a super power! She is totally immune to the constant nagging of her iPhone. She has an amazing ability to resist checking her emails every 5 minutes, texting back on the spot and playing the whack-a-notification game all day long. Maybe it’s in her DNA. After all, some genes do influence predisposition to addiction. I used to be annoyed by her nonchalance. Now I’m just envious. Like millions of people across the globe, I’m an smartPhone / iPhone addict. Until very recently, I used to frenetically check my emails and twitter feed all the time. Probably hundreds of times a day and even at night. Watching TV, talking to my kids, eating, commuting, waking up or before going to bed, …. This has not been a positive factor on my state of mind and overall mood. As numerous studies show, Mobile device addiction can generate or reinforce depression by trapping us in an endless cycle of meaningless social interactions. A like does not replace a hug or an eye contact. We have become hamsters in cages who can no longer refrain to hit the switch to check if there’s food coming. Maybe you’re not there yet, I know I was. So I decided to fight back. Here are the 5 simple tricks I’ve implemented. 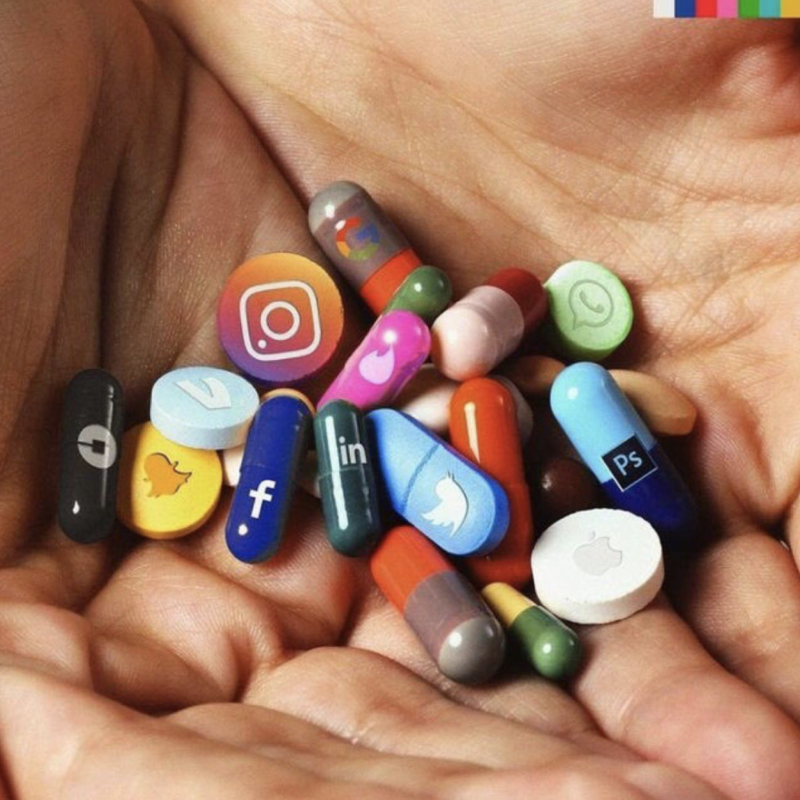 The good news is that contrary to stronger addiction mechanism (think cigarettes), smartphone addiction simply disappears after a few hours and the benefits are immediate. The first thing to do is to turn off all the notifications on the phone. Applications are constantly competing for your undivided attention. You can silence them with a bit of time and clicks. Once you’ve turned all the notifications off, you will appreciate no longer being interrupted by a message or a number in red shouting “Look at me, Look at me, there’s something new, come on, do it, …”. This app muting is a wonderful thing for your peace of mind. My phone has stopped screaming at me for attention. Feels great! I am no longer on Facebook. I lost interest a while back. So Facebook was the first app to be removed from my phone. I am however, a heavy user of twitter. Removing twitter from the phone took more efforts. But doing so instantaneously lowered my phone usage. Once twitter had been exfoliated from my phone, removing Feedly, Reddit, and other information apps was easy. By decluttering my phone I no longer had that nagging feeling that maybe there was something exciting that I had not yet read about. The problem with smart phones is that they are loaded with features. Flashlight, camera, alarm clocks, weather, etc … Each one bringing us back to our dopamine delivery device. But for every app there’s an object that can replace it!. My phone was my alarm clock and flashlight. Buying a real alarm clock and removing the phone from my bedroom had instant impact on my sleep patterns. Better sleep, more reading, taking the time to remember my dreams before attacking the day…., the list of benefits goes on. The phone now sleeps in my kitchen. Another simple thing to do is to keep your old phone as long as possible. Don’t renew it. I have an iPhone 5. It is slow as hell. It’s buggy. crashes, nearly as bad as a windows 95 experience! But the worse it becomes, the less I feel inclined to use it. By ensuring the interaction becomes more frustrating, I distance myself from this enslaving tamagotchi. That was maybe the less obvious step but it was the most effective one in the end. I deleted the email app!. No more emails on my phone. After all, I spend many hours working on my laptop everyday with plenty of time for email checking. An email can always wait a few hours. That was the whole point of asynchronous communications after all. Removing emails from the phone was the last nail in the device coffin. I had finally silenced the siren’s song. I think I’ve found a good method to get rid of my mobile device addiction. I sleep better, I’m more present with people around me, I read stuffs on paper, and I can concentrate for longer periods of time. And it was after all very easy to do. But time will tell. I still check my email and twitter feed way too many times when I’m working on my laptop. So in order to regain control of my time and focus, my plan to build a Bot that will handle all my social network interactions. A sort of social network secretary. Personal Machine Learning to counteract Corporate Machine Learning. That will take a bit more time and efforts than simple removing apps. Stay tuned! In the 1st episode of the TV show, The end of the f…. world, you see Alyssa, the teenage girl smash her phone in an act of pure teenage rebellion. Is that the new cool? Freedom from mobile phones, tracking, nagging, liking? Smashing your phone is the new buzz! I would love to know how you deal with your phone addiction or lack thereof.